After 40 years of living in group homes, Jill Kohfield, an intellectually disabled woman, moves back in with her twin sister and mother. Jill Kohfield was the first born of fraternal twin girls in 1965. At birth, Jill was severely brain damaged which left her intellectually disabled (formerly known as mentally retarded). At eight years old, Jill was placed in a group home where she would spend the next forty years of her life. In recent years, Jill's health was rapidly deteriorating and in February 2014, Jill moved back in with her mother and twin sister. 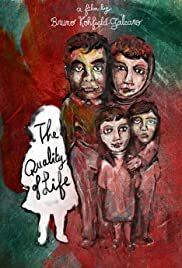 In The Quality of Life, we explore what people with disabilities go through, what their families go through, and the negative aspects of group homes/institutions which include physical abuse, sexual abuse, and over-medication. People with disabilities are being treated as less than human. It's time we started fighting for them.